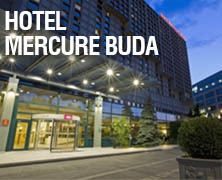 During the day half-day and full-day long workshops will take place, delivered in Hungarian. Autonomous Decision-Making, Machine Learning, and Artificial Intelligence: What Does It All Mean and Why Should You Care? This session will run on Wednesday. The presentations will run on Wednesday and Thursday. Who will die in the Game of Thrones? This session will run on Thursday. Értékesítés tervezése és prediktív előrejelzése a gyógyszeriparban. 15-08-2018 The website for the 2018 edition is up!